I must begin by sharing how absolutely amazing it was to arrive to our room and find many of my children’s absolute favorite things waiting for them, with a personalized welcome from the team at the Langham. They absolutely know how to create “wow” moments and my children were literally jumping for joy when they saw chocolate milk, kinder surprise eggs, a Chelsea scarf, macaroons, books with the cutest bookmarks ever and much more… it was such a wonderful welcome! We were treated to a little Wellness during this visit. 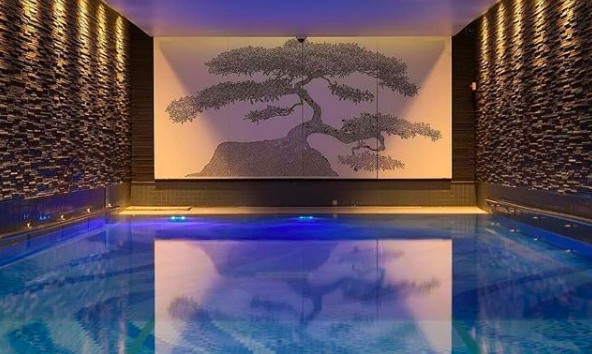 Let us let you in on a little secret… what is now a 16-metre indoor swimming pool in Chuan Body + Soul spa at the lovely Langham London, was once a Bank Vault. Question is did we enjoy swimming in the Vault each night, answer is “absolutely”! It was the perfect calm after a day of sightseeing and shopping. This experience left us feeling refreshed and in a better mood each morning. The Langham is in Marylebone. The location is perfect for visitors who wish to explore and enjoy shopping along Regent Street, Bond Street, and Oxford Street. You are within walking distance to the British Library, British Museum, London Zoo, London Theatre District and more. A really great option for families as you are within walking distance to all the activities kids enjoy! With private club lounge access we enjoyed a most welcoming and seamless arrival experience with relaxed seating and refreshments while everything was prepared. The club lounge is a true oasis where we enjoyed refreshments and canapés throughout the day and a very generous made to order breakfast each morning. We miss the team in the club lounge who felt more like friends. They were so friendly and thoughtful. They even delighted the kids with some of their favorite treats. 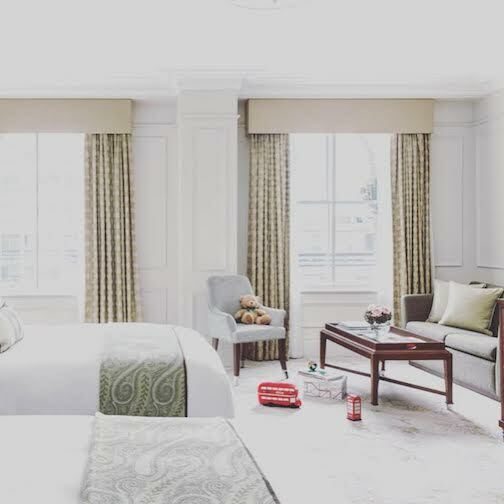 Overall we had a wonderful stay at the Langham London, it was the luxurious and relaxing escape we were seeking. We were completely at home from the second we arrived and only wish we had more time to explore the spa and maybe an afternoon tea! A warm thank you to the team at the Langham London for welcoming us on this holiday stay at the property.